Daguerre is also credited with taking the first photograph, a daguerreotype, of a person. 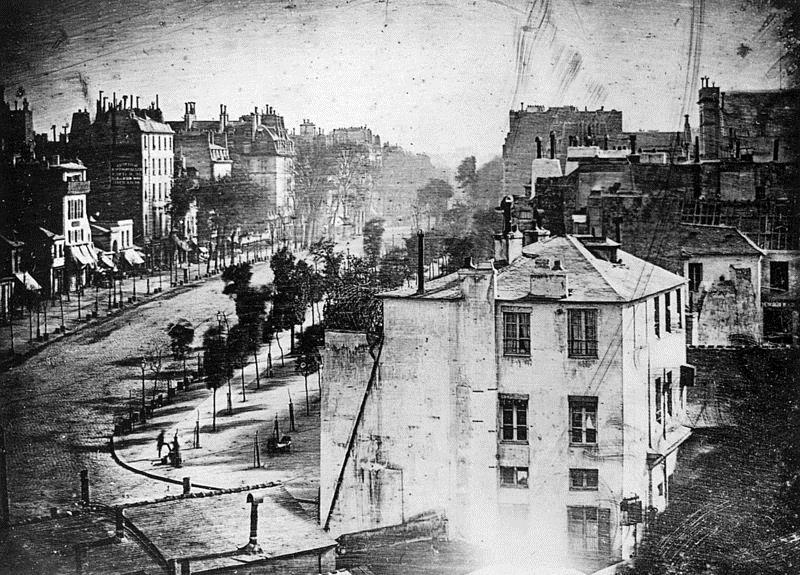 Two men, a bootblack polishing another man’s shoes, are seen in the lower left-hand corner of a photograph of the Boulevard du Crime in Paris taken by Daguerre in 1838. The appearance of the two men in the photo was no doubt by chance. day in 1974. Ritter began his career in 1928 singing cowboy songs on the radio. He starred in a number of B-western movies during the thirties and forties, but it is perhaps as a cowboy and country singer that he is best remembered. His recordings of “Rye Whiskey,” “Blood on the Saddle,” “Green Grow the Lilacs,” “Boll Weevil.” “Hillbilly Heaven,” and “High Noon (Do Not Forsake Me Oh My Darlin)” are all classics. The last won an Oscar in 1953 for “Best Song.” [http://www.youtube.com/watch?v=WzGtvnjtGtM] Tex Ritter died of a heart attack on January 2, 1974. This entry was posted in Historian's Almanac, Uncategorized and tagged daguerreotype, daguerreotypy, Louis Jacques Mandé Daguerre, Stalin, Tex Ritter. Bookmark the permalink. I’ve never seen the Stalin quote before. Explains a lot, doesn’t it? Fun to learn more about Ritter and Daguerre, especially Daguerre. 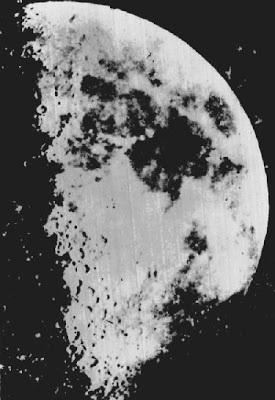 Amazing photo of the moon! And the chemicals involved in the process are so lovely to think about (silver, iodine, mercury vapor), like poetry.